Maine has not had a Spring Bear Hunt in over 25 years. For those that had the opportunity to hunt in the spring, most will agree that it was a great hunt. Thanks to the Passamaquoddy Indian Tribe, Bulldog Camps is able to offer a Maine Spring Bear Hunt in the Western Mountains of Maine. We have leases for a 40 square mile parcel of land for the exclusive Western Maine Spring Hunt. This land is in a very remote section of Maine and holds a large number of Black Bears. This hunt gives sportsmen the opportunity to hunt a big game animal in the spring of the year. With the breeding season in June, this hunt makes for several sightings a week very likely. 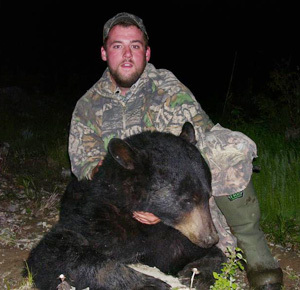 The likelihood of shooting a big bear greatly increases during the breeding season. For the adventuresome hunter, a Spring Bear Hunt is an action packed hunt that will leave all with a memorable experience. 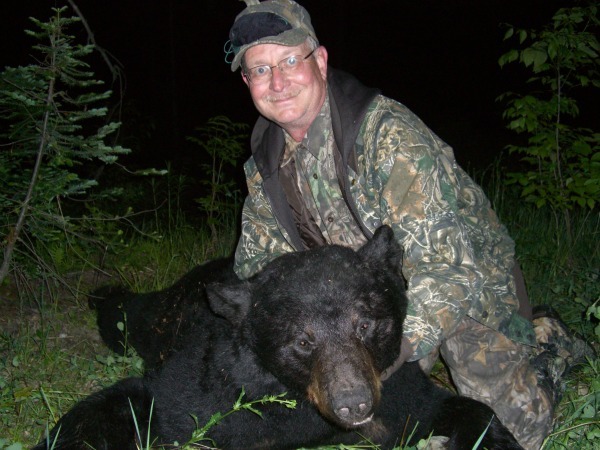 The Spring Bear Hunt is a six day hunt and includes license, meals, lodging and transportation to and from the bait site. 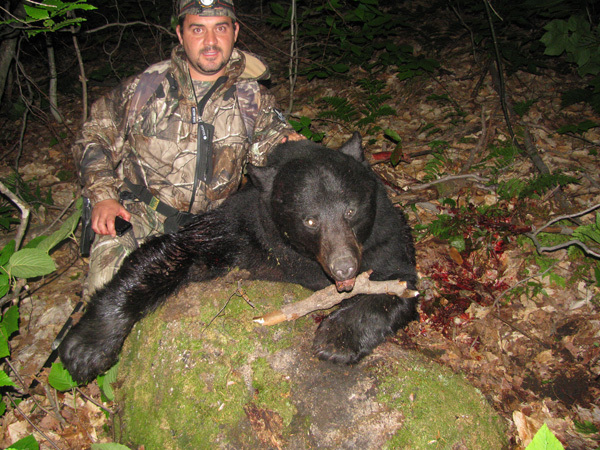 Exclusive Western Maine Spring Bear Hunt courtesy of the Passamaquaoddy Indian Tribe. All meals are served with homemade bread. All desserts are homemade. We use only the freshest ingredients for our meals. Menu subject to change, due to availability of some items. We will accommodate special diets with advance notice.